Hi everyone! 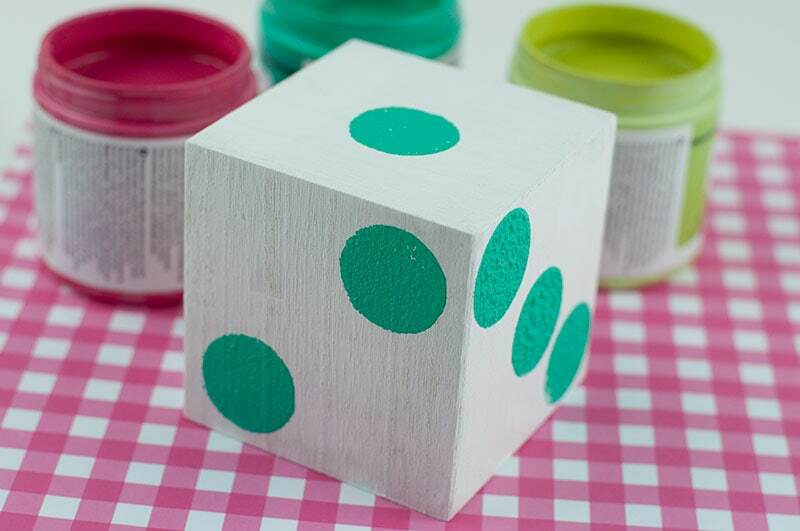 Today I’m sharing a super easy kids craft, jumbo homemade Yard Dice!! I did this really fun project over at Live Craft Love last month. 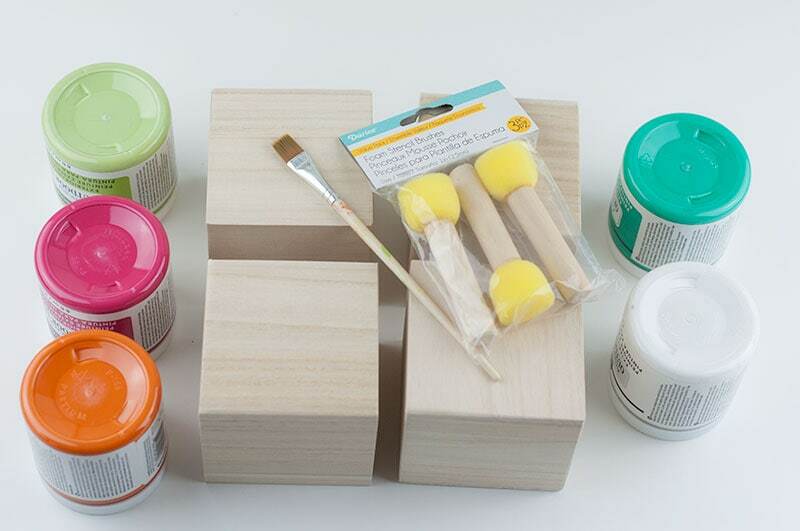 I found these amazing wooden blocks on Darice. I knew they would be perfect for this craft and they were pretty inexpensive. I just needed to find some fun Summer-y colored paint. 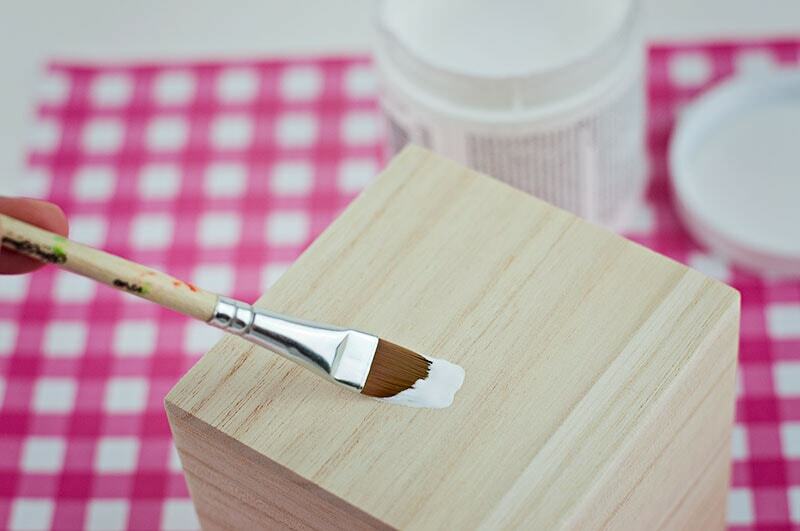 I used some outdoor paint from DecoArt, so these blocks will be long lasting. My kids were so excited to work on this project together. 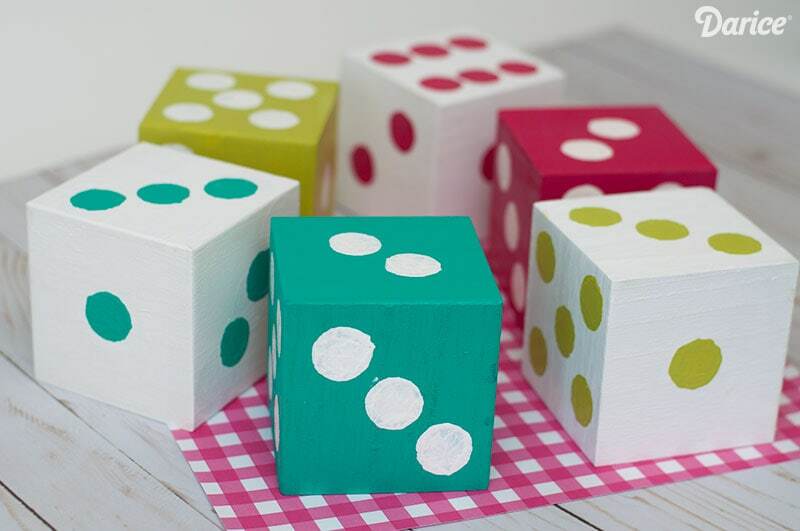 I know they will have lots of fun outside adding these homemade dice to their yard games. I have all these fabulous paint colors and I couldn’t wait to use them!! 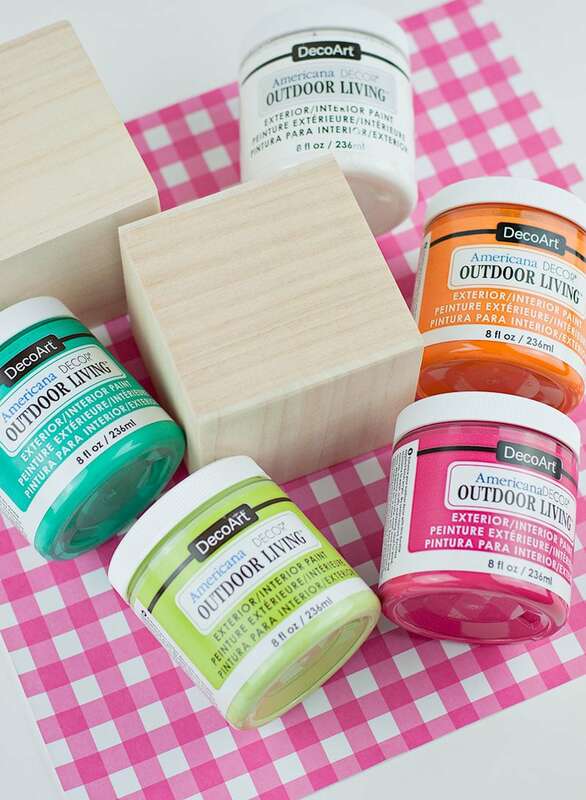 They’re ALL outdoor paint so they were perfect for this craft. First I painted 3 blocks all white. 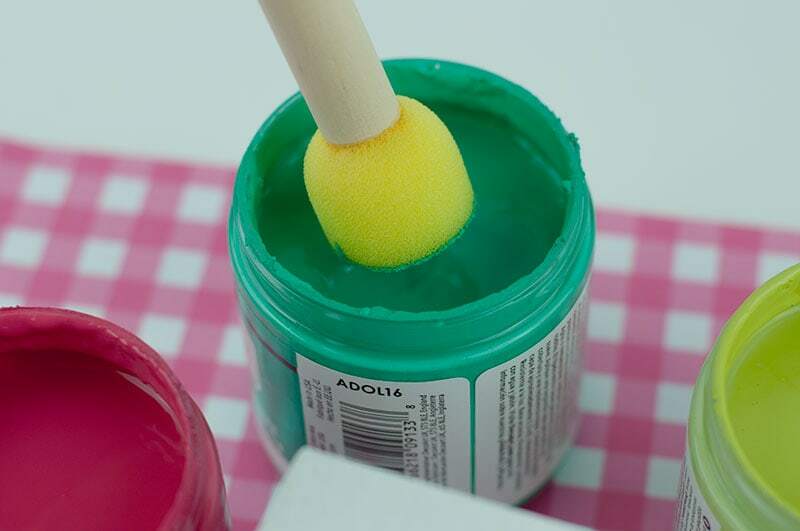 This paint does take some time to dry so I would wait an hour before adding your second coat. Now it’s time for the kids to add the dots. The round sponge brush worked great for this step. 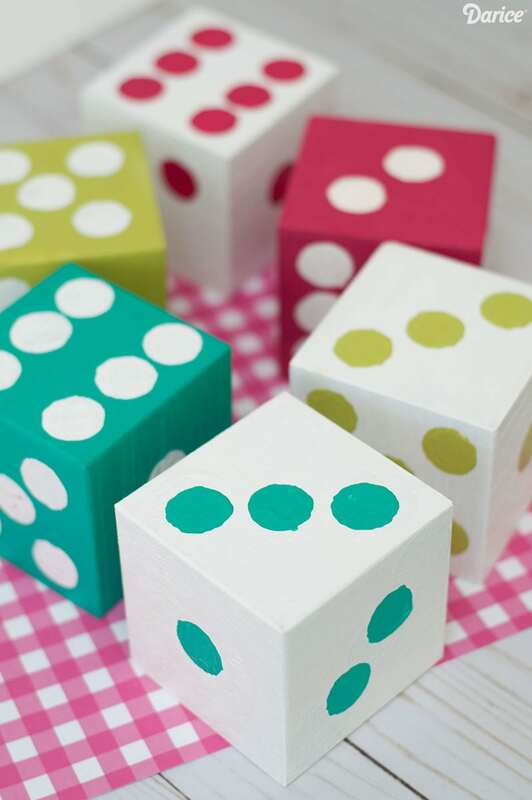 You can make little dots on the blocks with a pencil to help guide the kids. If you want to turn this into an adult project, then you can always use a stencil for this step. 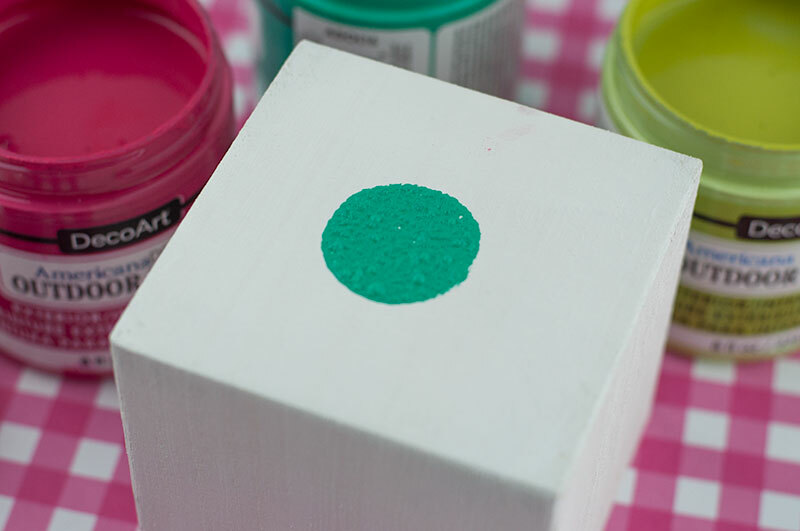 I also painted three other blocks in fun colors. The kids can mix and match them! 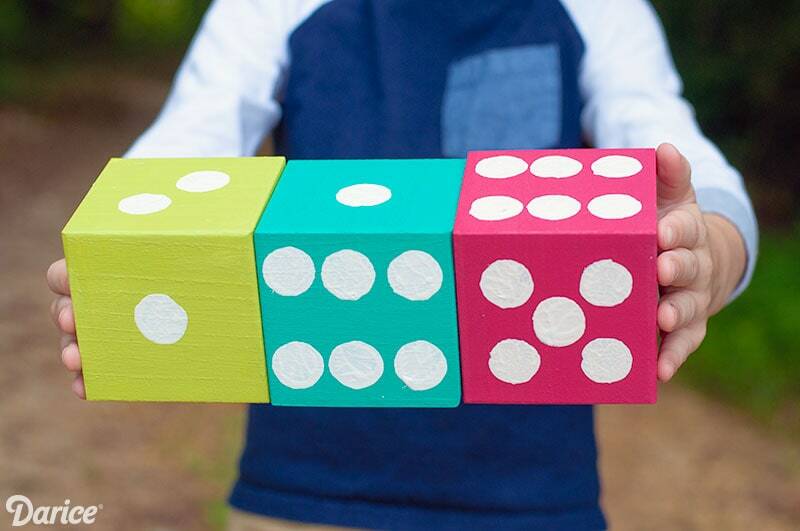 All the homemade yard dice look so bright and fun! You could even add them to a kids room or playroom for a cute decoration. As you can see this is a pretty easy craft for the kids to work on. 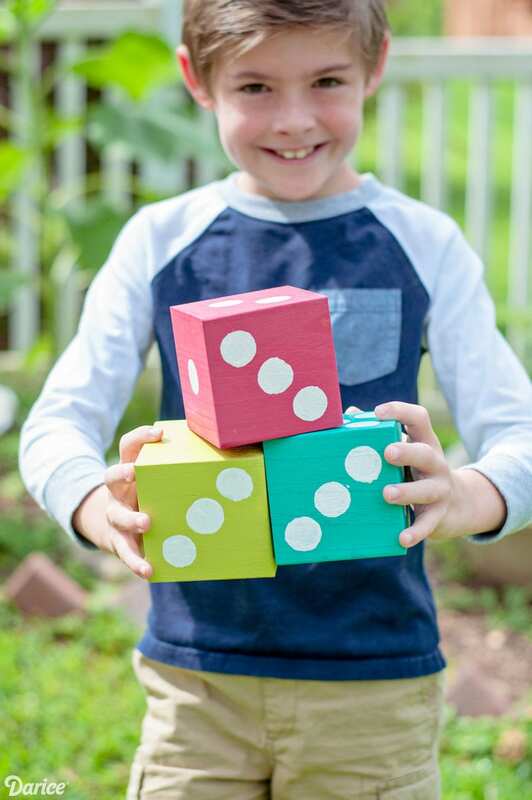 We had a lot of fun outside taking pictures with these jumbo homemade yard dice. Now we can’t wait to start having lots of play time with them! 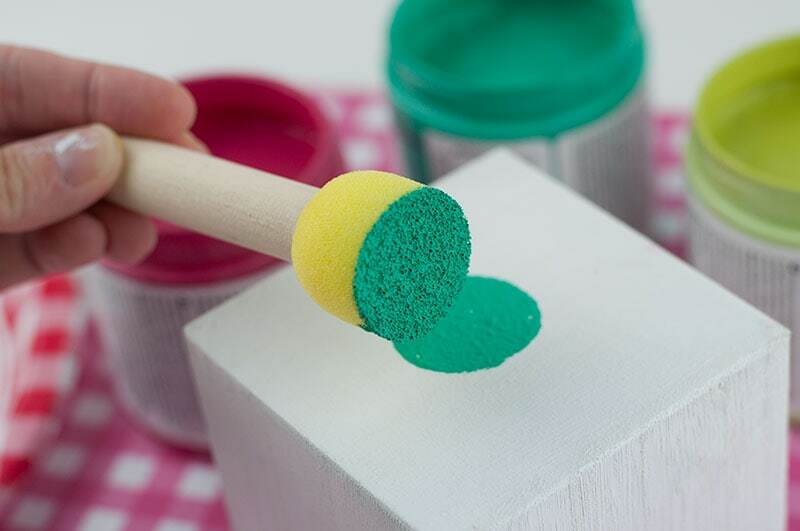 Another fun outdoor activity you can make with the kids this Summer is this DIY ring toss game. I hope your enjoying your Summer! 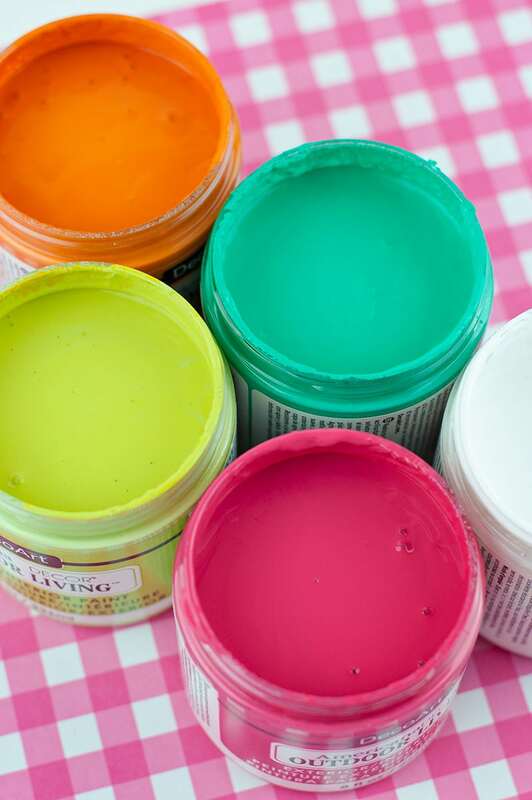 What have you been crafting with the kids this Summer? LOOKING FOR ANOTHER SUMMER CRAFT? 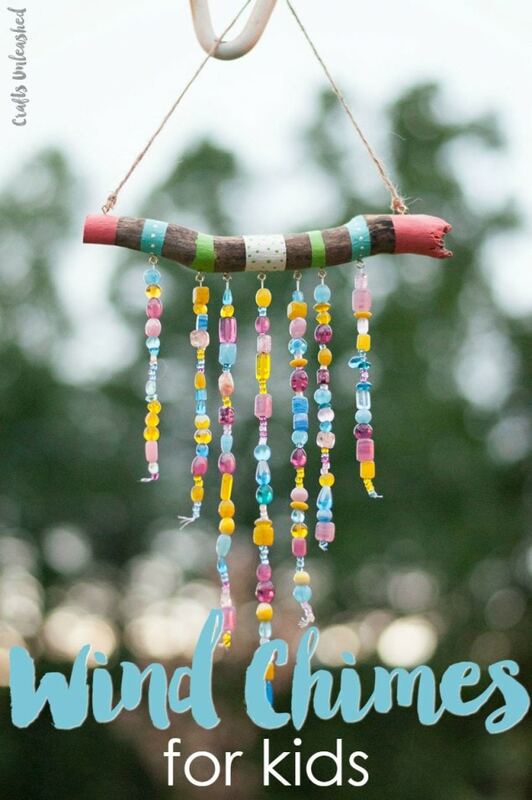 We also had fun making this DIY Wind Chime for the yard!